I live in the USA and teaching at an American University for the last 24 years. I have lectured in four continents and have travelled all over presenting papers in various conferences. I do not belong to any political party in Pakistan. I have never met Gen. Musharraf in my life. My 24 years of teaching Americans and world student body has given me an objective thinking and approach. What Pakistani Government has done with its Ex. Army Chief and Ex. President is appalling. I am not protecting Gen. Musharraf but I am talking about the image of Pakistan and its top positions, like Army Chief, where people get on top by merit. This Article 6 drama has become a laughing matter. Based on my observations; Pakistan’s enemies in Western academia, media, and intellectual world are happy on the stupidity of this constitutional juggling in Pakistan. I am specifically requesting educated Judiciary to take note of this. If Judiciary let BA condition lifted for uneducated “Lawmakers” of Pakistan, Articles 62 & 63 were not implemented, Articles of City Governments were not implemented for the last 7 years, and third time term Prime Minister Article was added for personal benefits of two politicians, Sharif & Bhutto; then “Ghaddar” must be redefined for any educated professional like Ex. Army Chief. Will Judiciary allow removal of LL.B. qualifications for Judges? Then why they did not challenge removal of BA condition for Lawmakers? Calling an ex Army Chief Ghaddar by corrupt looters and politicians is extremely “unethical”. I know how some enemy intellectuals from other countries are happy on our stupidity. Here are my arguments as Pakistani American academic. If Musharraf has done any corruption or wrong doing. Try him but not as “Ghaddar”. Emergency has always been used in many countries. Sometimes democracies have used to control law and order. India has used it many times. USA declared emergency in Louisiana after Hurricane Katrina in 2005. 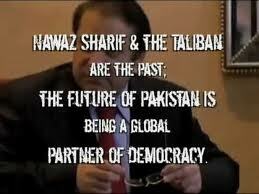 Premeditation was obvious when politicians changed constitution in 2009 to get Musharraf. At the same time they benefitted themselves by removing BA conditions. This was a joke and sadly media and judiciary let this happen. Lawmakers in democracies and authoritarian China are highly educated. Supreme Court under Ex. CJ let politicians play with constitution for personal benefits. They also added third time PM term for personal benefits of two politicians: Sharif & Bhutto. When constitution is used for personal gains then why then why Ghaddar cannot be removed for Ex. Army Chief. In 2007 the act of Emergency was not a crime; it was brought by having bad intentions. Army should have objected but they may not know these constitutional juggling created by corrupt politicians. Movements create positive results worldwide from China, Turkey to South Africa. But when movements are based on fraud and deception, the poor suffers and movement leaders prosper. That’s what happened in lawyer’s movement in 2007. This was again enemy agenda to destroy a stable economy. In today’s modern diplomacy bombings or killings are not done by smart strategists, they destroy infrastructure and means of production. Incompetent leadership does this nicely. Pakistan economy suffered a lot from Lawyer’s movement. What is the outcome and result today after 7 years? A stable economy was destroyed. People are suffering more than in 2007. Pakistan is the ONLY country where “Aamriat” is criminalized. China, Saudi, and many societies are authoritarian and not “criminalized” by any world body and UN. Pakistani politicians have not delivered themselves but added Article 6 for military rulers. Debate in Pakistan should focus on which era was better: “Democratic or Aamiriat”. Leaders of lawyers’ movement must be tried for destroying economy which is larger criminal act than constitution in abeyance which was legal in Pakistan in 2007. Article 6 was Bhutto’s creation against Wali Khan as Traitor or Pro-India. Now politicians have given it new twist against Military Presidents. Article 6 needs to be re-addressed. The most disturbing part is calling an Ex. Army Chief & President “Ghaddar” who has given 44 years of his life to Pakistan including fighting wars against enemy. Significant majority of Pakistan’s political class is “non professional”, people with fake degrees, corrupt, incompetent, and parasite on country. Lawyer’s movement was an enemy agenda in modern warfare; to destroy the economy and divide people. Even Asma Jehangir, an anti Musharraf lawyer, was critical of current judicial system and special court as “Kangaroo Court”. In many democracies such people would have been tried for destroying economy. But in Pakistan, it is other way around. Corrupt enjoy and educated professionals are not allowed to develop Pakistan. Politicians have not followed constitution by not having (Baldiati) City Governments elections. Loot and corruption are also anti constitution. Judiciary in Pakistan did not follow constitution, when Reference against CJ Chowdhry was not sent to Supreme Judicial Council and people were brought on road which destroyed a stable economy. Article 6 must be applied on political parties’ leaders for violating constitution. These crimes of corruption and of not having City Governments have left people dying, helpless, and poor. Security was compromised because China controls through 46,000+ Mayors and USA with 19,700 Mayors. Same is true for many countries of Africa, Turkey, India and 1005 Europe. One prime minister and four Chief Ministers are the only outcome of elections with unnatural powers, while MNAs & MPAs are lawmakers not administrators. 1850 British system of DCs & SPs do not even exist in UK, they have adopted US County system and City Governments. In Pakistan Musharraf had that system while PPP & PMLN took country back to 1850s system; making Pakistan and its people vulnerable. City Governments could have provided much needed life, security, educational, social and economic development to the people in the past 7 years. People of Pakistan have to take notice that energies of this poor nation have been wasted in the name of Article 6 to chase “one person only” and destroying the image of Armed Forces. While global realities are different. We need to be honest about Article 6. There have always been two base systems of governance worldwide in various forms: Democracy as Liberal (Scandinavia), Conservative (USA), Social (EU), Authoritarian (Egypt, S. America, Africa) & Theocratic Democracy (Iran) and Authoritarian & Totalitarian: Dictatorships, Monarchies, Military Rule, Tribal Totalitarian, Communism, & many smaller units. China, Saudi Arabia, All Gulf, North Africa, Ex Soviet Union, E. Europe, and many countries have or had this system. This system may have challenges from Human Rights point but not “criminalized” like premeditated Article 6 in Pakistan. Education and Economic Development are the key factors of City Governance worldwide. In Pakistan it is family based fraud democratic system of 1850s which denies people’s right of self governance in City Governments. Can Judiciary and Army Guide and support in Changing System? Parliamentarians will never change. Pressure of change has to come from overseas Pakistanis, people of Pakistan, and international democratic donors. This has to be backed by media, civil society, and educated institutions in Pakistan. End Note: Will Judiciary allow removal of LL.B. qualifications for Judges? Then why they did not challenge removal of BA condition for Lawmakers? The Way in which the minimum educational qualification of BA was Removed from the Constitution to Bring Uneducated Politicians as Lawmakers. Enemy Agenda is followed by Politicians, while Judiciary and Army are not taking Note of this. Officials refused to comment directly on the two-seat variant’s potential performance other than to say that would be only “slightly less” capable in most parameters. They said that the twin-seat FC-1 compensated for the loss of fuel space – and related range – that second seat created by using an elevated and enlarged spine that also conferred more stability and allowed for a smaller vertical stabiliser. The idea of a twin-seat version of the FC-1/JF-17 was first mentioned toIHS Jane’s by a Pakistan Air Force official at a 2004 defence exhibition. Since then Pakistani and Chinese officials have offered conflicting opinions about the programme’s status: Chinese officials have usually denied or downplayed the programme while Pakistani officials have been sceptical about funding. The appearance of the model at Paris suggests that AVIC sees potential in the programme – and that funding has been found. The model in Paris was shown with full weapons outfit. When asked about potential power plants for the FC-1, AVIC officials confirmed that a FC-1 prototype had been flying with a Chinese-designed turbofan engine, but said it was not yet ready for export and that testing would be needed for several more years. A court in Egypt on Monday sentenced 529 supporters of ousted president Mohamed Morsi to death after a mass trial, judicial sources said. The backers of Morsi are facing a deadly crackdown launched by the military-installed authorities since his ouster in July, with hundreds of people killed and thousands arrested. The sentence was delivered in the second hearing of a trial which began on Saturday in Minya, south of the capital. Of those sentenced, 153 are in detention and the rest are on the run, the sources said, adding that 17 others were acquitted. The verdict can be appealed. 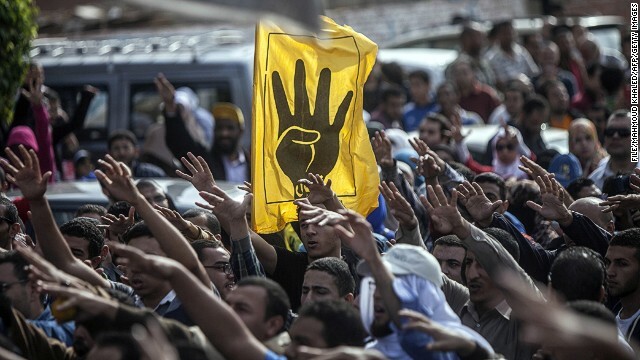 Those sentenced are among more than 1,200 Morsi supporters on trial in Minya. A second group of about 700 defendants will be in the dock on Tuesday. They are accused of attacking both people and public property in southern Egypt in August, after security forces broke up two Cairo protest camps set up by Morsi supporters on August 14. They are also charged with committing acts of violence that led to the deaths of two policemen in Minya, judicial sources said. The accused include several leaders of Morsi’s Muslim Brotherhood, including its supreme guide Mohamed Badie. Morsi, Egypt’s first elected and civilian president, was ousted by the army on July 3 in a move that triggered widespread unrest across the deeply polarised nation. Rights group Amnesty International says at least 1,400 people have been killed in violence across Egypt since then, and thousands more have been arrested. Morsi is himself currently on trial in three different cases, including one for inciting the killing of protesters outside a presidential palace while he was in office. Morsi was removed after just 12 months as president following mass street protests against his rule amid allegations of power grabbing and worsening an already weak economy.